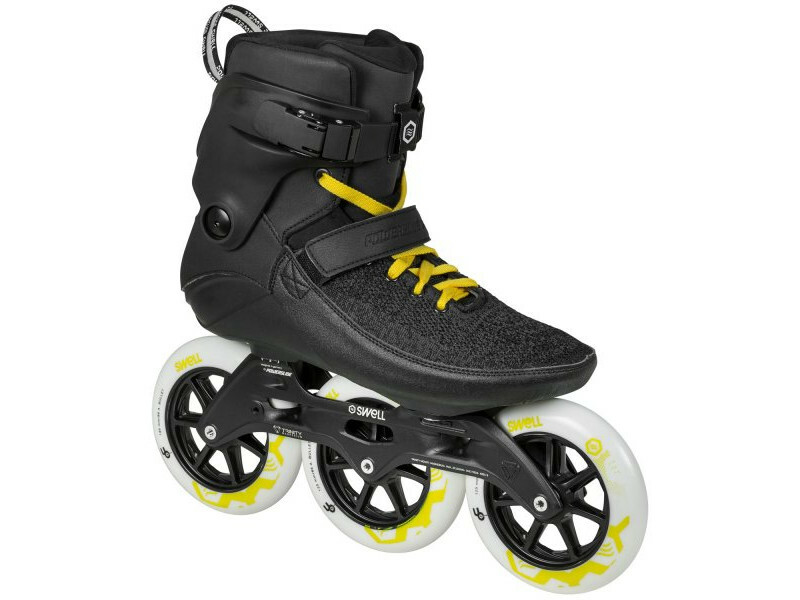 Deze skates zijn snel, rollen makkelijk over oneffenheden en zijn erg wendbaar. 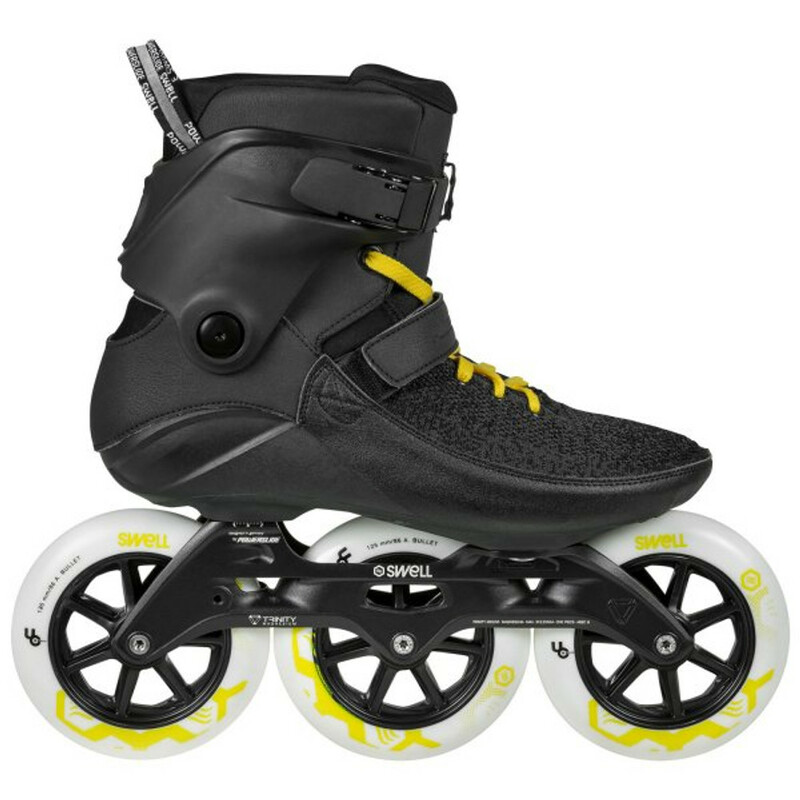 Door het kortere frame zijn deze skates wel wat zenuwachtiger op hoge snelheid. 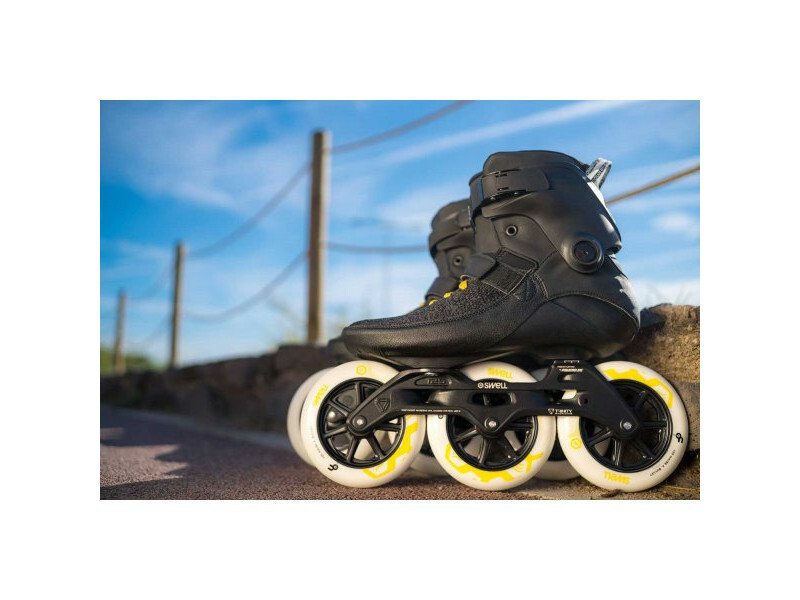 The Powerslide Swell Black 125 City is a fast and furious fitness skate made for intense training as well as for easy cruising. 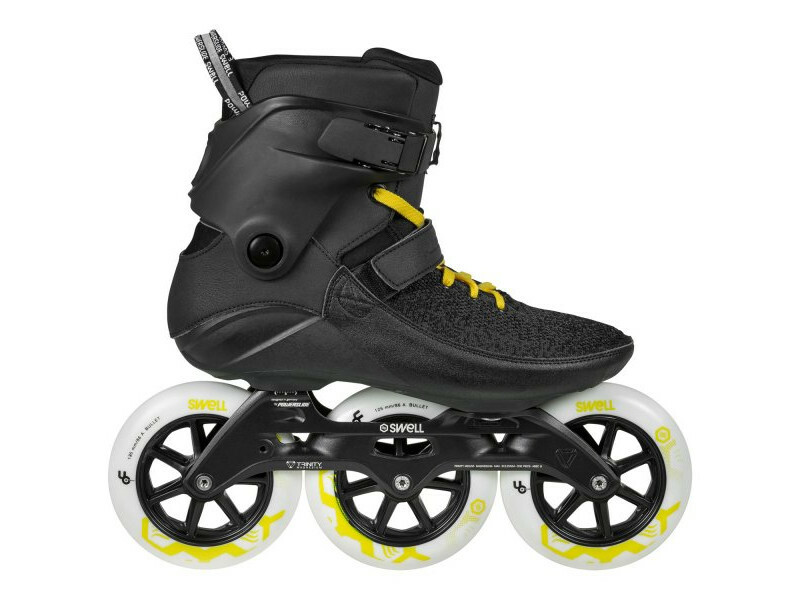 The reworked shell with flex cuts around the ankle area along with the new "Recall Fit" based on high end memory foam provides superior comfort and maximum support. 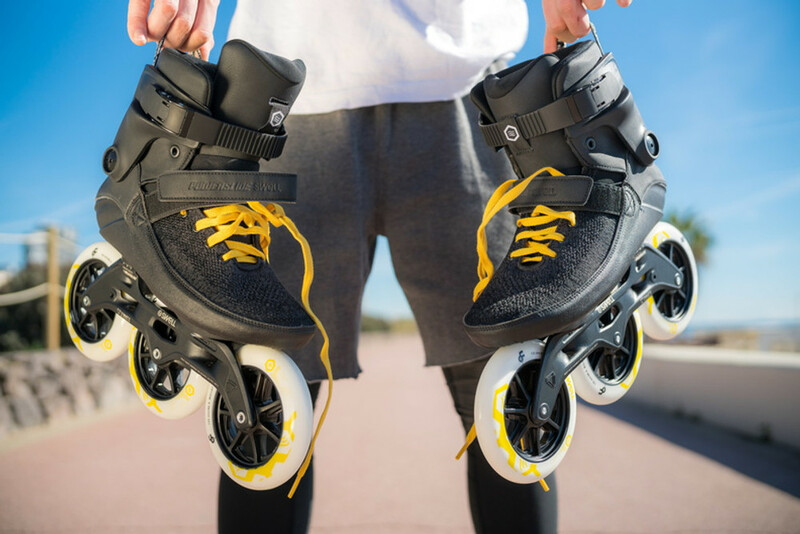 The new ventilated upper is made out of special Powerknit material including our new minimalistic weaving design with a sleek fit that shapes around your foot seamlessly to fit like a glove. 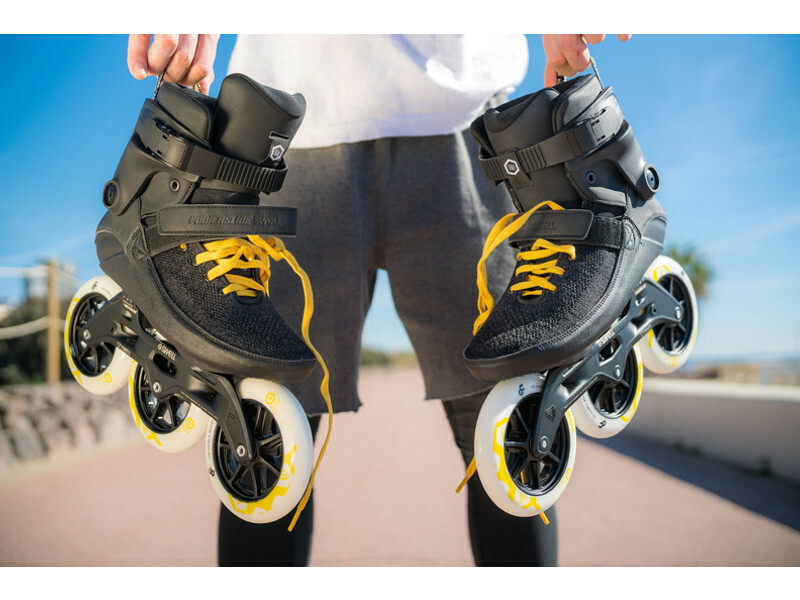 Powerslide was the first skate company on the market offering high end Fitness skates with trendy and sportive Powerknit material. 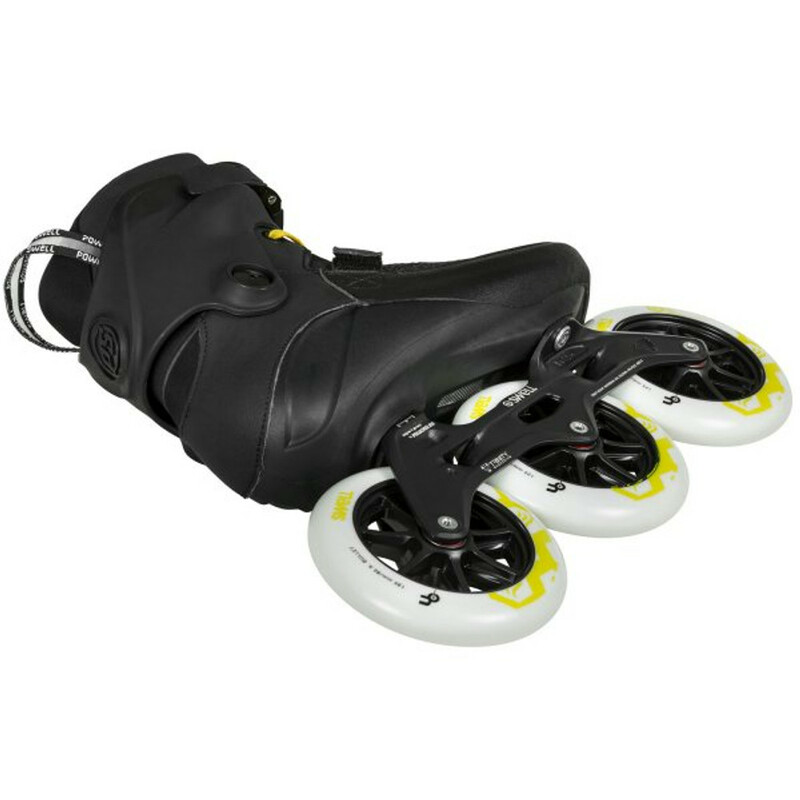 The TRINITY mounting with three fixation points provides better power transfer, a lower center of gravity for more control and to make the skate even more stable to reach new levels of performance. 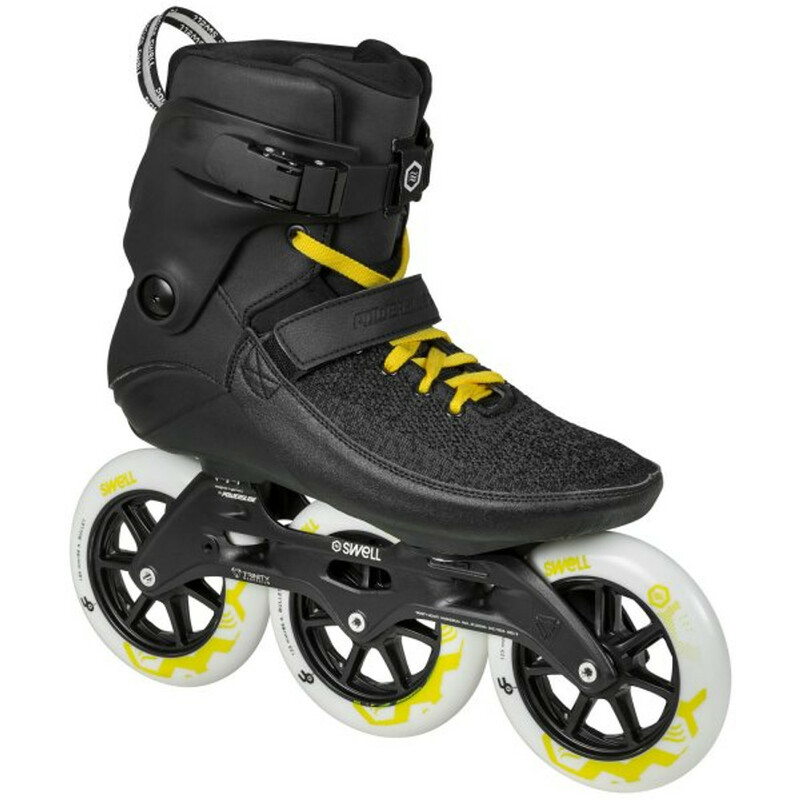 The Swell Black City comes with a super light 255mm magnesium casted Elite frame coupled with infamous Undercover 125mm/86A PU-wheels made in USA and is powered by Wicked ABEC 9 freespin bearings. 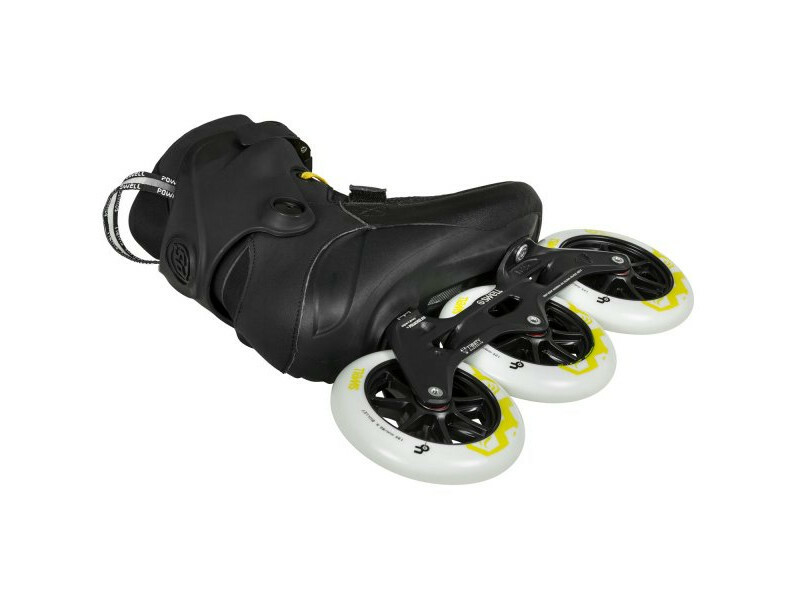 For more safety a high adjustable brake system (HABS) is included in the box.